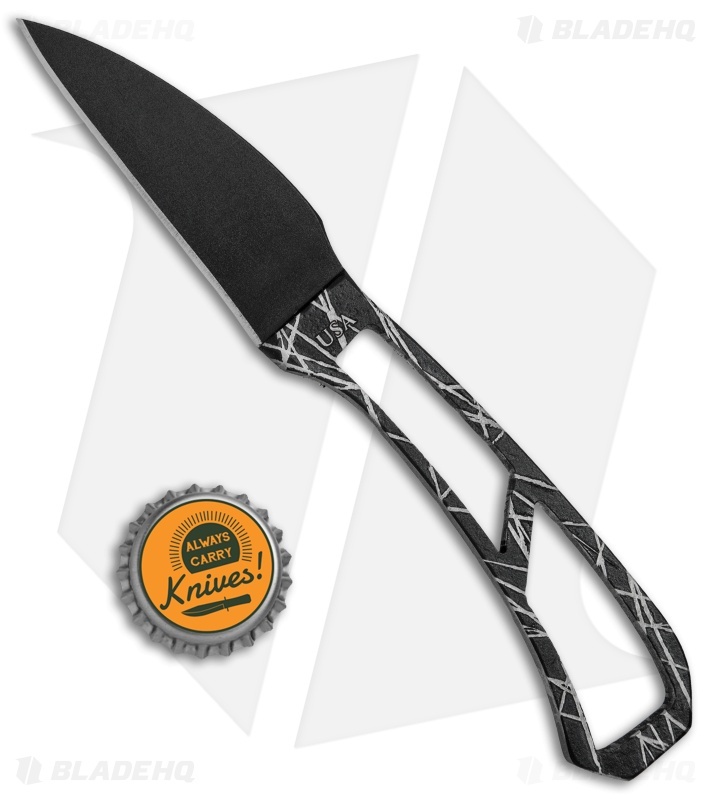 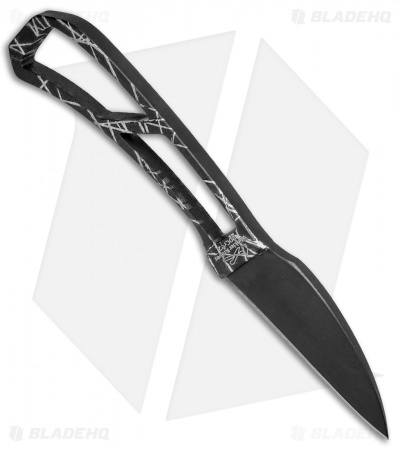 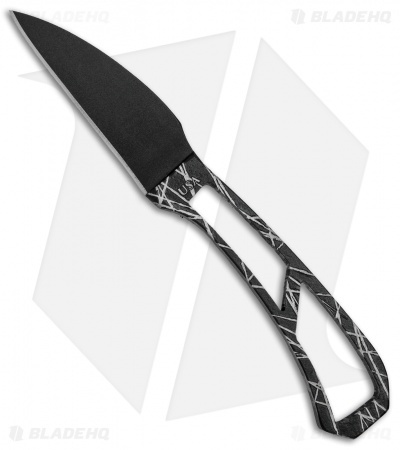 The WKII Neck Knife is a skeletonized fixed blade knife. The black KG Gun Kote 5160 steel blade is 3/16 inch thick and the handle is about 5/16 inch thick. 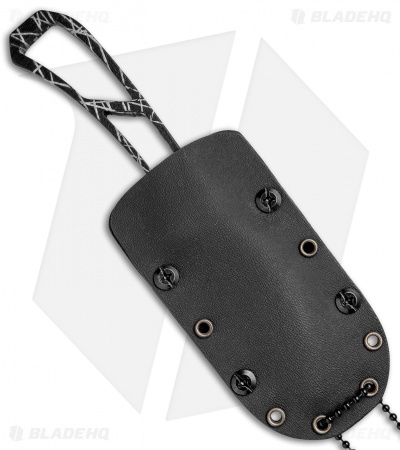 The Winkler Knives II Neck Knife comes with a Kydex sheath that includes a belt clip and ball chain for multiple carry options.